It’s six months on since I took a leap into the unknown and rebooted my blog with a new design and – crucially – a brand new URL. I thought it might be interesting for anyone considering a blog reboot to look at how far we’ve come. I love that song. Any excuse. So back in May 2016 I set up shop here on a brand new URL. Whilst I did have content from my previous blog stretching all the way back to 2007, I didn’t have any traffic or links or Domain Authority. Those metrics have worked out pretty well – my DA has grown from zero to 28, and my traffic for September was 26,000 page views. Most of that was because of interest in the Marks and Spencer Advent Calendar. I was the first person to post the full contents of the calendar online, and it turns out that a lot of people want to know that information. So the lesson there is – if you can’t be the only person to post about something, aim to be one of the first. I expect my traffic will decrease once advent calendar season is over. The DA rise was something I really worked at. The higher your DA, the more opportunities a site attracts. Certain elements of DA, like the longevity of your URL, you can’t do anything about. It’s as old as it is and that’s that. The part of DA that you can do something about is the number of links that point in to your blog, and I’ve put a lot of time into this. I’ve contributed to crowdsourced posts, joined in linkies and left many comments on other blogs. Some of those don’t make much difference to DA since they are no follow (ie no linkjuice) but Moz still counts them and it all helps to get your blog’s name out there. Internal links are also important for DA and search engines, so it helps to aim for each post to have at least one link to another post on your blog. In terms of sponsored posts, I was offered my first one in June, when my DA was only 4. Once my DA got over 25 I started getting a lot more offers. However, disappointingly, many of these were either for derisory rates or I’ve been asked not to declare that they’re sponsored. This is illegal in the UK and competely unethical to boot. It’s a shame to be asked to do this by big name brands who should know better. The SEOs always shrug their shoulders and say “I know, but it’s what the client wants”. They should know better too, or find better clients. 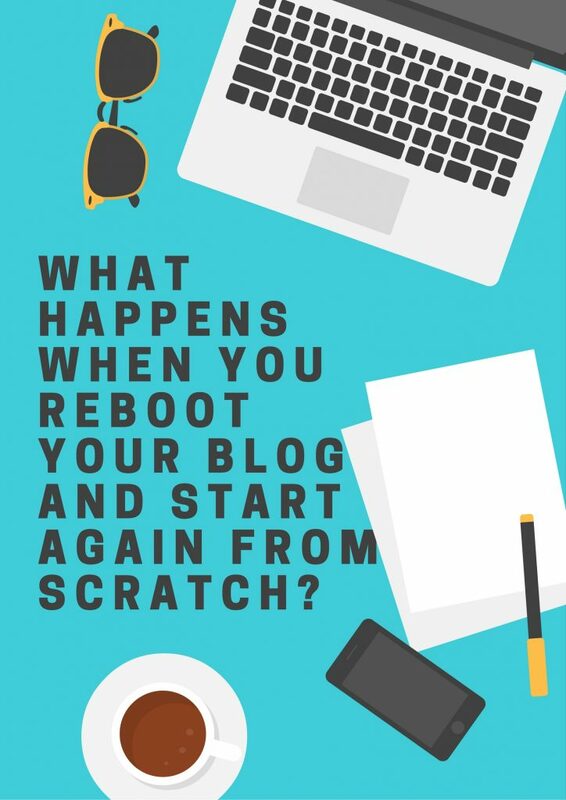 The big thing that I’ve really enjoyed about my blog reboot is the infusion of energy it’s given my blogging. It feels like crouching down low on a trampoline before taking a huge leap up. Starting from zero, you have nowhere to go but up. But then you realise that you weren’t really starting from zero at all. Yes, that’s what the metrics may have said, but there is a big difference between starting out and knowing nothing, and starting out armed with knowledge you’ve already gained. The next six months will be interesting because I have an inhouse job for a client coming up which will involve me being in their office 4 days a week. I think I will be OK fitting in the blogging. It’s the FitBit steps I’m more concerned with finding time for. 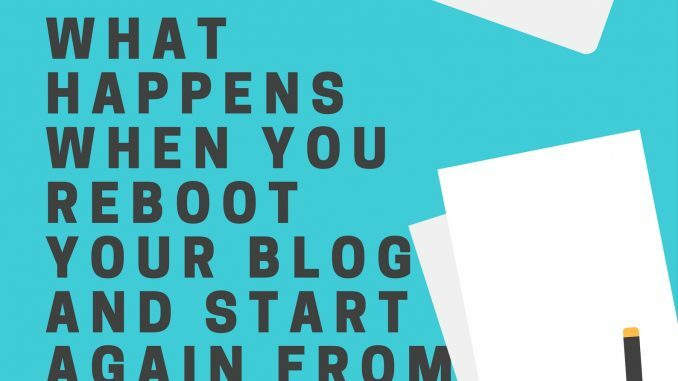 If you are teetering on the brink of a blog reboot and it feels right for you, go for it. Everybody needs to take a flying leap sometimes and this could be one of yours. Your instincts are your inner wisdom and if that is the direction they are pointing you in then follow them without fear.